A unique range of pregnancy pillow, nursing pillow and maternity wedge to add comfort and support to both mother and baby particularity during breastfeeding. Free UK Delivery! Our Pregnancy pillow and wedges offer relief of unnecessary pain to the neck, shoulders, spine and arms creating a stress free environment for new mothers and mothers to be. We offer a wide range of high quality pregnancy and support nursing pillows. 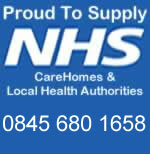 Our trusted products and well established company supply maternity products to NHS hospitals around the country. We aim to offer the best possible support without compromising comfort levels. Overseas customers contact us for exact shipping quote prior to purchasing. Supports provide comfort during breast feeding and pregnancy. Our well designed products alleviate pressure from joints relieving aches and pains. The pregnancy wedge is perfectly angled to optimize the amount of support given to your bump! The wedge has a larger surface area than all of our competitors for extra comfort. The body pillow is a fantastic support for your bump during pregnancy. The Breastfeeding Pillow incorporates a cervical roll to relieve pressure on the neck and upper back whilst it's bolster arms offers excellent but gentle support to baby during feeding - a waterproof version is available as an option for those unavoidable spillages. It’s no secret that pregnancy is not always as you imagine it will be. As a child and in your teens you probably carried around this image of pregnant women being glowing and healthy, blossoming with new life growing inside of them. Actually as you will now be aware it can be uncomfortable and hard work as your body works overtime to feed, nourish and carry your baby. Your feet hurt, your back hurts, you are carrying around more weight than ever before and you just want to go to sleep, get comfortable and wake up feeling refreshed in the morning having slept at least a full eight hours. For most women pregnancy is exhausting and you are fit to drop at the end of the day. You just want to go to bed and sleep. You eventually manage to find a comfortable spot and then you get kicked in the ribs or you are bursting for the loo. Sound familiar? Don’t worry – help is at hand. Whilst we can’t make all of these problems go away we can help you get comfortable and give you a better chance of a comfortable night’s sleep with our great range of pregnancy and nursing support pillows. At Creating Comforts we have a range of maternity pillows designed to support you during your pregnancy and whilst breastfeeding to alleviate some of the issues you may face during this period. Firstly there is the body support pregnancy bolster pillow. This pillow, especially designed to offer added support and comfort during pregnancy, runs vertically down the bed and allows you to rest your growing bump on it creating added support and reducing the pressure in the spine and lower body. Alternatively you can use it as a pillow to support your neck, head and shoulders and generally make you feel more comfortable. This is the pillow that your partner will like as well as it will stop him being kicked, nudged, bumped into and generally having his sleep disturbed as he tries to get comfortable. The only trouble you will have is getting rid of it when you no longer need it. You will need to find an excuse to use your new comfortable best friend. In fact a bit like a pacifier toy or dummy for a baby you may become just a little too used to it. For anyone who has breastfed before then you know why you came to our website. You are looking for a breastfeeding nursing pillow or cushion to make it more comfortable next time! If you haven’t breastfed before then you may want to think seriously about making this a more comfortable experience for both you and baby. Getting up at 2amafter being asleep and having to sit upright feeding your baby is demanding right? You will need a good breastfeeding pregnancy pillow. Ordinary pillows or cushions will offer you some support but nothing like the feeling of our breastfeeding pillow which has wrap around support to assist both you and your baby – almost like a hug for you and your baby. You may not notice at first without a proper pillow and think “what’s all the fuss about” but after a few days (and nights) the demands of sitting upright and feeding for half an hour at a time several times a day and night will start to show and you can develop aches and pains. Breastfeeding requires you to adopt such a position that you can’t sit bolt upright, you have to lean slightly to get the best position and it will be a while before you find the best position for both you and your baby. After a while you may notice neck pains, back pains or other aches and pains. Our pregnancy pillow is designed to support the upper body giving you good seating posture and the optimum seating angle. Whilst you cradle your baby you can sit supported by your breastfeeding pregnancy cushion and enjoy the moment. In the middle of the night when it is just you and them it can be a magical time that you will remember and cherish. Make the most of it and experience it in comfort and enjoy it while it lasts rather than wishing it away because it’s causing you discomfort. In fact the longer you can breastfeed the better for you and baby so if you can make it more comfortable you are more likely to continue for longer. Consider that as the baby grows they will get heavier as well. A good supporting pillow will help with the demands of a growing and hungrier baby on your back, neck and shoulders. We also offer a waterproof nursing/breastfeeding pregnancy pillow – it’s the same as the standard breastfeeding pregnancy pillow with good back support and wraparound arms but it has a waterproof lining – this is ideal as you will undoubtedly have unexpected leaks and spills. Finally there is the ingenious wedge. The pregnancy wedge as you can imagine is perfect for supporting your bump. Imagine lying there in bed leaned into your pregnancy wedge completely supported and comfortable as you drift off to sleep. We are proud to offer our pregnancy pillow wedge with a larger surface area than our competitors giving you that bit more comfort. So whether it’s support for your growing bump, something to ease your neck and shoulders, breastfeeding support or all 3 then we have the solution for you. When expecting mothers reach the second and third trimester they become more exhausted increasing the need of a peaceful night’s sleep. All of our maternity pillows have been engineered to create support and comfort to provide you and your new born the best possible experience during the pregnancy phases and the early stages of your baby's life. We have designed our maternity pillows to allow ultimate support without creating a compact pillow that restricts your partners sleep. The body support bolster pillow is designed to run down your body creating support and reducing the pressure felt in the neck, shoulders, spine and lower body. Our breastfeeding pregnancy pillow is designed uniquely to offer more with the comfort of full anatomical support for the upper body. This promotes good seating posture giving you what is known as balanced seating the optimum seating angle for alleviating unnecessary strain on the upper and lower back and just as importantly giving just the right amount of support as you gently cradle your baby using a maternity pillow whilst feeding. Our Waterproof nursing/breastfeeding pregnancy pillow is exactly the same in specification as our standard maternity pillow offering excellent back support where needed for nursing mothers and the wrap around arms adding divine comfort for your baby. This pillow is covered with a waterproof lining to protect your nursing pregnancy pillow from accidental spillage and fluid ingress. Choose your pregnancy pillow by clicking on the product image below or on the "More Details" button to go to the product page. This item does exactly what it says on the tin. It is so comfortable. I have used it whilst reading on the sofa, and it was fantastic to be able to rest my arms at the same time as supporting my back. My cat also loves to curl up in it with me. It would be great if it came in different colours. All in all a very good purchase. Very good. I am pleased. And its comfotable. It doesn't take long to get adjusted to it. Would definetly recommend. We ordered this pillow for a friend who is in hospice care. He said it is wonderful, gives him proper support to sit up in bed and really feel relaxed and supported. The customer support at Extra Comfort were extremely helpful and caring and arranged for us to have it overnighted! You can buy with confidence. This body hug pillow is very supportive. My partner has just had a shoulder operation and it is ideal for supporting the upper body. The only very slight down side is that there don't seem to be coloured covers for i! Take The Strain Out Of Breastfeeding Your Baby!